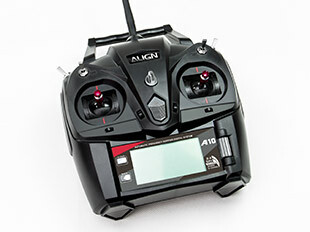 Align T-REX 450 has been the ideal choice for entry level R/C helicopters. 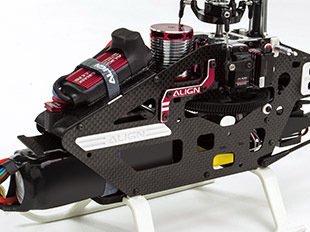 To cater to new RC helicopter enthusiasts, Align introduced T-REX 450LP ARTF (Almost Ready to Fly)*, complete with newly released Align A10 transmitter and Mini GRS flybarless system. This combination allows new enthusiasts to spend more time flying, rather than countless hours of guess work and building. 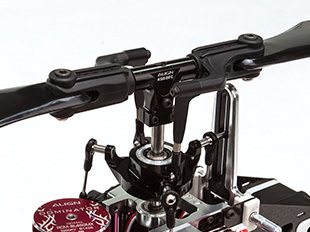 The helicopter utilizes DFC (Direct Flight Control) rotor head, paired with Mini GRS flybarless system optimized for T-REX 450LP flight characteristics. 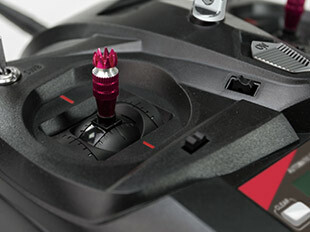 It provides excellent stability suitable for pilots of all levels. 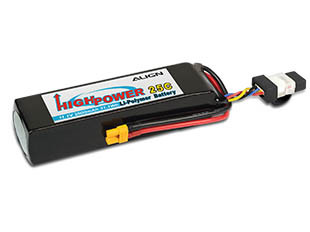 Equipped with digital high voltage servo DS450 and DS455, supports 8.4 high voltage to provide optimal speed and torque performance. Paired with the new RCE-BL45P ESC, supports adjustable 5~8.4V BEC function to highly improve flight performance. 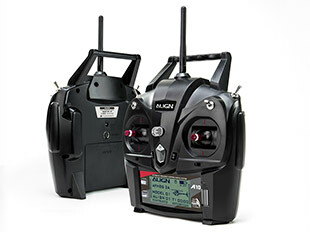 With the addition of the brand new Align A10 transmitter and Mini GRS, the T-REX 450LP ARTF pushes past the performance limitation of flybar helicopter, improving both on stability and 3D performance, while maintaining a down to earth price level. 1. Automatic Frequency Hopping Digital System, AFHDS is a highly developed remote signal transmission system, providing long range, minimizing interference, with lower power consumption. 2. The frequency range of the system is 2.4055 ~ 2.475 GHz. The wave band is separated from 160 independent frequencies. The transmitter uses 16 different frequency and 160 different frequency hopping algorithms. Each time the transmitter is powered on a different frequency hopping scheme is used allowing the transmitter to avoid interference of the transmission signal. 3. 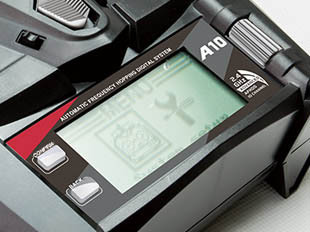 Each transmitter has unique ID code when binding to the receiver, the receiver saves this unique ID code and only accepts a signal transmitted by the saved ID code transmitter. This process avoids receiving another transmitter signals and significantly enhance the anti-interference ability and security. A roll style slider is used to scroll through menu options providing a quick setup. Up to four electronic timmers. Ergonomic design for comfortable feel and smoother control. 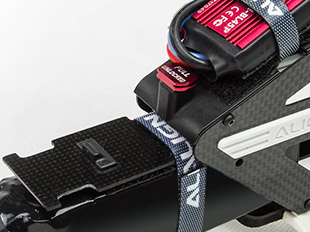 The transmitter case is matte black with spined red control sticks to give a unique, and stunning look. 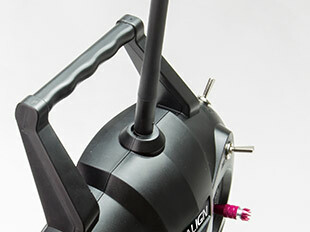 This system uses a high-quality gain antenna covering the entire available bandwidth. With high sensitivity receiver, the system can effectively avoid long-distance transmission signal interference. Adopted low power rated electronics and a highly sensitive receiver chip. The transmitter frequency module uses an intermittent transmission signal to reduce transmission power and increase battery life dramatically. 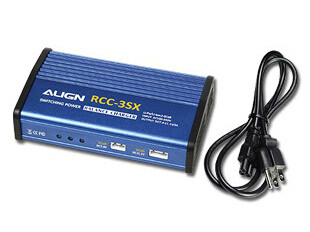 Provided charging port, simulator support, and firmware update ability. Equipped with the DFC flybarless head designed for extremely low CG to minimize wind resistance while providing an enhanced direct control feel. 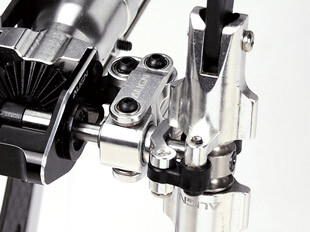 As a standard feature, the new main rotor head block and spindle design is included. New designed 325 3D main rotor blades are stable and agile resulting in improved flight performance for the beginner or 3D pilot. Align has over 25 years of experience with motor core technical knowledge. Based on 3s 11.1V the 460MX (3200KV) motor is specifically designed for the T-REX 450L Dominator, featuring superior efficiency, high power output, extreme torque, low current, and low operating temperature. The 460MX motor shares the same extraordinary engineering design features as the 850MX Dominator motor. Three programmable throttle speed settings for quick throttle response control. 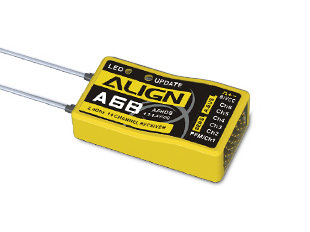 Adjustable BEC output voltage (5~8.5V), auto power detection system suitable for 2S~6S Li battery, a continues 3A current rating, a burst rating of 6A, continuous current 45A and a surge current 60A for 15 seconds. New CNC metal reinforcement main frame brace is installed with the frame mounting bolts increasing the main frame strength to improve flight stability for the beginner or the 3D pilot. The solid reinforcement of the frame is easily felt during extreme 3D maneuvers. Also, the stylish appearance of red anodized and silver color frame brace enhances the high-end appearance of the T-REX 450L. 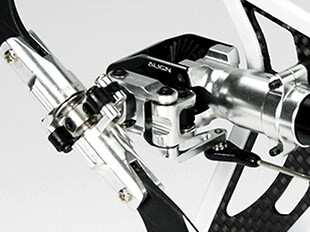 Carbon main frames utilizes composite integration technology to embed the battery mounting rails directly into the frames. 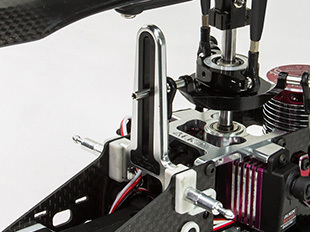 This high-end manufacturing process allows for the clever use of open space in the frame body for a more rigid frame structure to improve flight performance. The T-REX 450L cleverly expands on the core concepts of the T-REX 450Pro design to continue our design excellence. Designed with direct to swash control, and a one-piece main bearing block with integrated servo mounts for simplified servo installation is aesthetically pleasing. 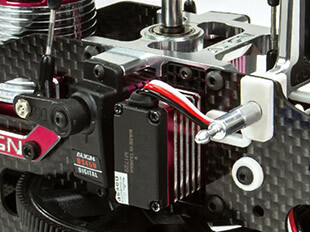 New dual bearing design DS450 servos minimize deadband and increase longevity feature improved torque and speed. 1. 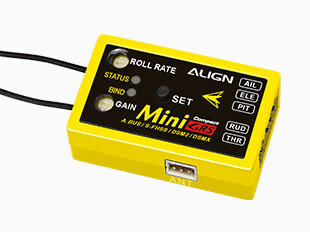 Special design for ALIGN small helicopters. It's light and simple. 2. Support the latest new ALIGN A10 Radio (10-channel/A.BUS system) for the best working operation. 3. 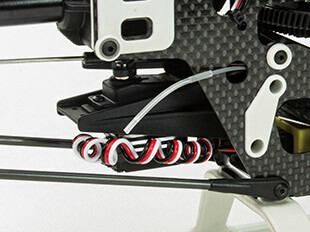 Support T-REX 250/450/470/500 models, no need to setup, outstanding flight performance for the beginner or 3D pilot. 4. Support JR DSM2 and Spektrum DSM2/DSMX satellite. Built-in Futaba S-FHSS 2.4GHz support for Futaba S-FHSS transmitter. 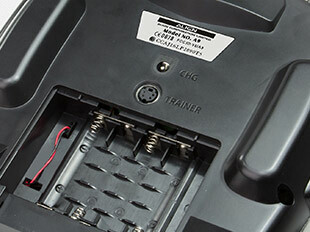 New sliding battery tray with locking system and frame integrated mounting rail provides easy battery access. The design also provides extra battery protection. New anti-rotation guide with embedded anti-wear material to minimize the wear between the swashplate long ball and the guide. 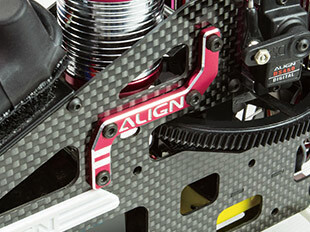 Horizontal rudder servo mount designed for improved center of gravity (CG) to enhance Beginner or 3D flying. Included tail boom support bridge to increase the rigidity of the overall tail boom to improve control. Brand new tail blade grips which utilize thrust bearings to improve rudder precision control while increasing the life of the bearings. New 65 mm tail rotor blades combined with the 360mm main rotor blades contribute to improved tail authority. New dual tail sider support assembly for a slop free tail to improve rudder resolution and control. 1. Suitable for international AC 100V~240V. 2. 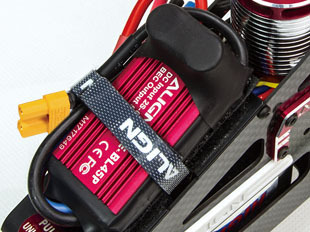 Voltage balancing charging is suitable for 2S 7.4V and 3S 11.1V lipo batteries. 3. Automatically correct out of balanced cells, and automatically charge cells with low voltage. 5. Reverse polarity (warning beep) and built-in short protection. 6. Aluminum alloy shell with an internal cooling fan for effective heat dissipation. 1. Cells are inspected to ensure matching cells are used during manufacturing to ensure high-performance battery production. 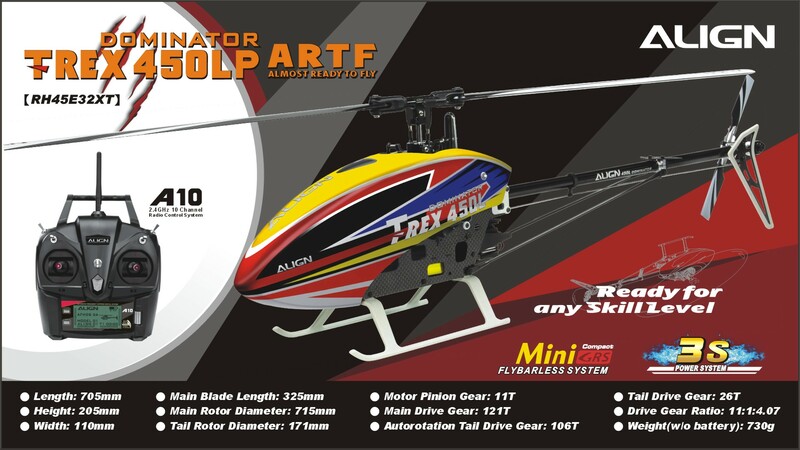 The best choice for the T-REX 450 helicopter series or other models such as airplanes and cars. 2. Max Continuous Discharge: 30C(66A), Burst Discharge: 40C(88A). Normal operating temperature is approx. 40-65°C (within 80% of rated discharge). Max. Temperature: 80°C. •Operating temperature: -20? ~ 65? *User is required to install tail assembly to the body of the helicopter and reconfirm set-up before flight.